In The Dark About How Bats Hunt At Night? Our Fun Echolocation Game Will Help You Figure It Out! Echolocation is a process in which sound waves and echoes are used to determine where various objects are in a given space. Bats use echolocation to navigate and find food when it is dark outside. Bats produce soundwaves out of their mouths or noses. These sound waves hit nearby objects and bounce back to the bat as echoes. Bats listen to these echoes to determine where things are, how big they are, and the general shape of the item. 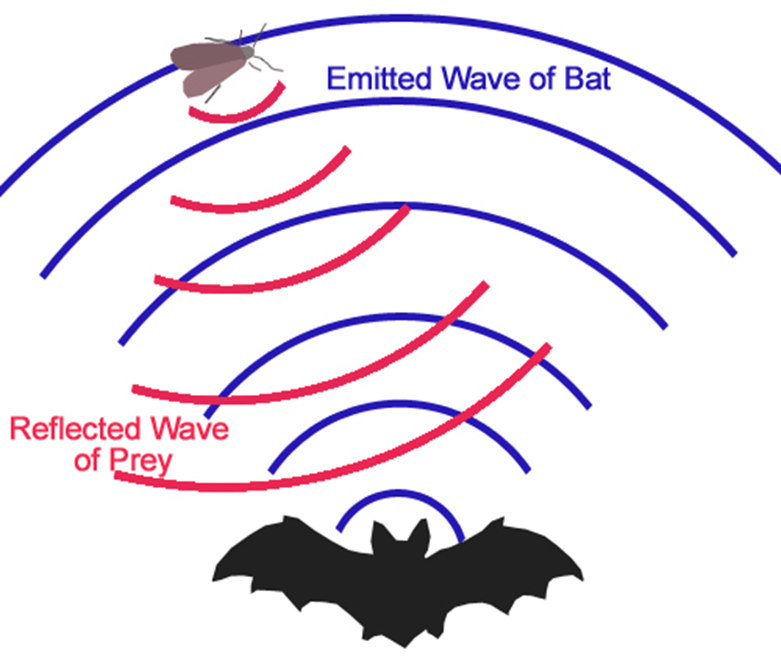 Using echolocation, bats can find insects that are tiny, like mosquitoes. 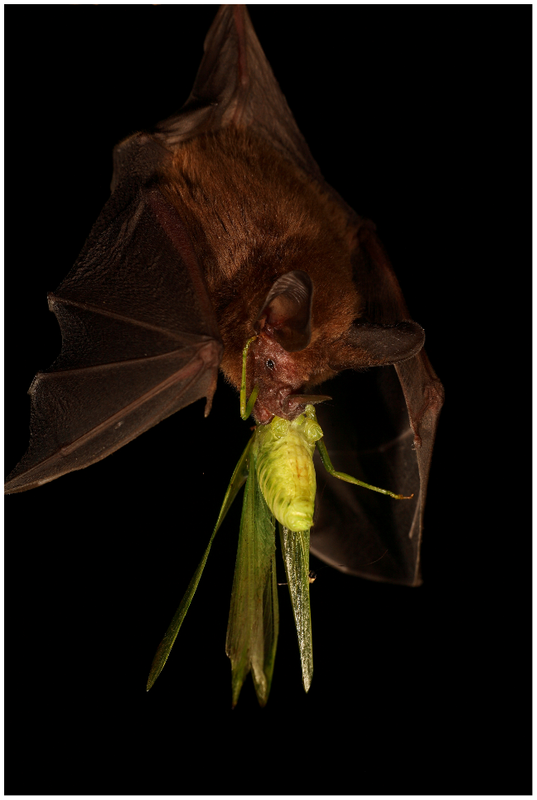 Bats love to eat mosquitoes! Explain that bats do not use their sense of sight to locate food. Ask the children what senses they think bats use. Discuss the concept of echolocation and tell them that they will play a game where they will pretend that they are bats looking for food. Instruct children stand in a circle. Choose one child to be the bat and another to be a moth (to make the game easier, you can select two children to be moths at the same time). The children that remain standing in the circle are the trees. Tell the bat and moths that they must keep their eyes closed at all times during the game. The bat relies on its hearing to find the moth. The moth also has adapted to hear the high-pitched sounds emitted during echolocation, so they will also rely on their hearing to escape. Explain the rules of the game: Both the bat and the moth must remain on their hands and knees. Everyone in the circle must be quiet. The bat tries to catch the moth. If the bat calls out “bat”, the moth must answer “moth.” If the bat gets close to the edge of the circle and bumps into the trees the trees can say “trees.” When the moth is touched by the bat, the round is over. Have the bat and moth standing. The bat claps once to represent the echolocation sound being emitted. The moth must clap twice to show the sound has bounce off the moth. The bat must track down the moth by walking around the circle trying to touch the moth. The moth must try and evade capture. The trees keep the bat and moth contained by holding their arms out to prevent escaping the circle. The round is over once the moth is touched. What senses did the bats use during the game? Was it easier for the bats to locate the moths when the moths were saying “moth”/clapping? How was this similar to what real bats do in nature? Previous Post Play the Butterfly Life Cycle Game! Want To Start A Museum career? Here’s How To Do it.